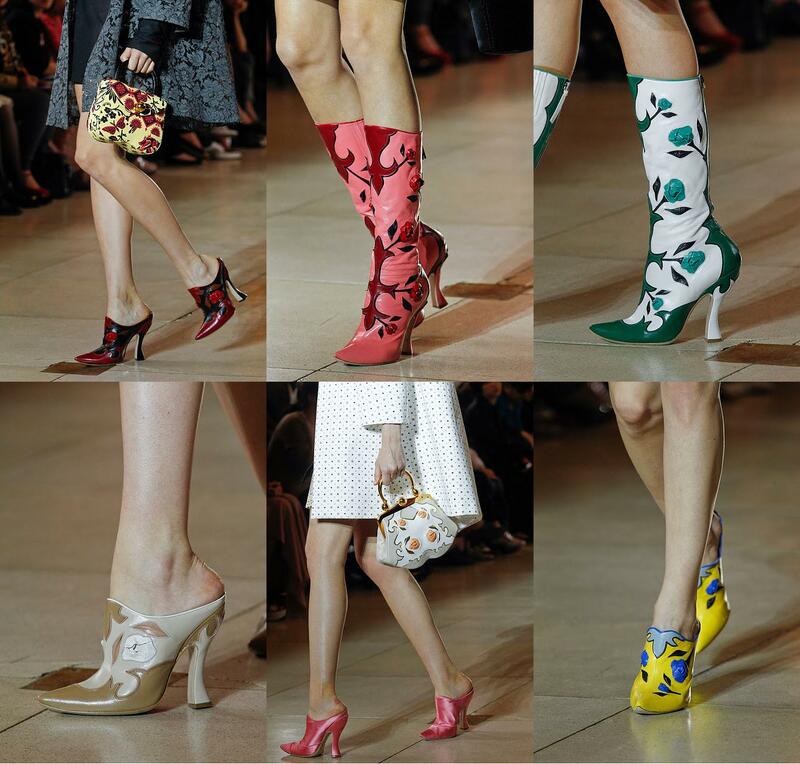 now, as miuccia prada screwed us over with her mainline shoes/boots for 2011 but did oh so well with the wonderful glittery miu miu’s last season, i was wondering what she’d do this time round. miu miu is usually one of my favourite brands for their accessories. i mean the cat/bird print satin dreams and then the silver glittery wonders. divine! so, i clicked onto vogue.com and my heart sank. what the hell, miuccia! there’s some questionable shoes been thrown out there this season but these really do take the biscuit! the shape, the height, the mule-esque-ness and then the patterns on the higher boots. they’re so damn ugly. i hope i don’t see any hopeless fashion victim wearing these anytime soon. not even the amazing anna dello russo could make these nasty things work. yuck!